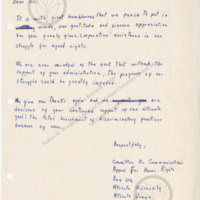 This letter was just one of many sent to the Committee on Appeal for Human Rights after the publication of the Appeal. Pledges of support and donations came from all over the country. 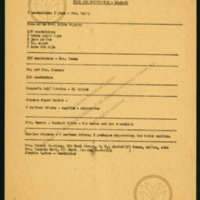 This list demonstrates the many donations made to the movement by well-wishers in the city of Atlanta. 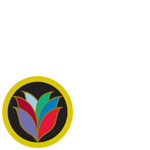 Many people donated their time, money, food while others joined the students in the marches and on the picket lines. 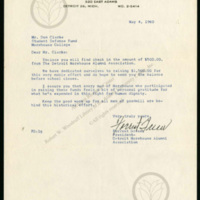 Organized labor was a consistent supporter of the fight for civil rights. Founded to obtain equal rights for workers, unions had a long history of winning concessions through peaceful demonstrations, boycotts and picket lines. 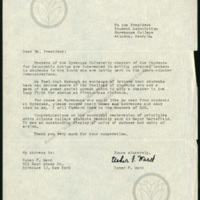 Religious leaders throughout the country were supportive of the civil rights movement. 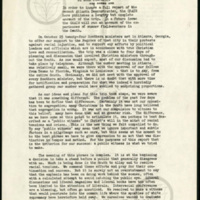 In this essay published in the Grain, John Stapleton describes the experiences of 24 white Southern ministers who traveled to Atlanta on October 25, 1960 to lend their support for the movement and join the Atlanta University Center students in prayer outside of the jail where Martin Luther King Jr. and student protesters were held. 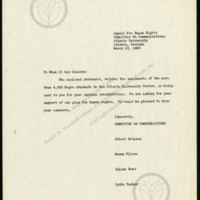 This form letter from the Communications staff of COAHR accompanied copies of the text of An Appeal for Human Rights. The students who made up the Committee on Appeal for Human Rights were careful to show respect for the administrations of their schools. 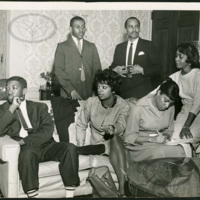 After the President’s Council learned that the students planned to demonstrate, Atlanta University President Rufus Clement requested that the students draw up their grievances in a statement; the student’s response was to author and publish An Appeal on Human Rights. 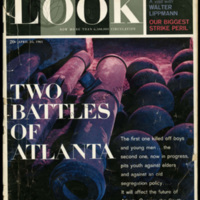 This volume of Look includes a 29-page spread reporting on the “Two Battles of Atlanta.” The article chronicled the actions of both the students and the city’s merchants and political leadership. 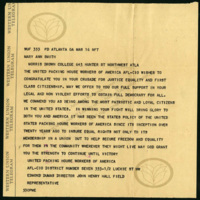 Photographs depict the students and their supporters, as well as their opponents from the Ku Klux Klan and government. Most importantly, the article showed photographs of the students’ peacefully protesting to a worldwide audience of over 6.5 million readers. Students from all over the country demonstrated in support of COAHR.